For all functions and events we can assist you in planning and executing all aspects of your bespoke event with our pre-designed itineraries or alternatively we can customize an itinerary to specifically suit your needs. We have designed gourmet catering menus which could be tailor-made according to your dietary preferences and we provide both a casual or sophisticated dining experience to suit your budget. All our events can fully be personalized. Please get in touch for more information or any requests you may have. 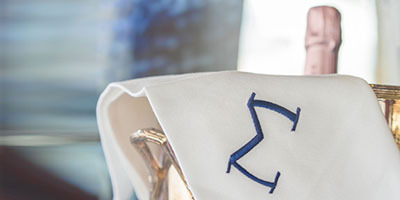 Create a thriving corporate culture with our yacht dining excursion. Our corporate events are ideal to build strong corporate bonds and engage your work team. 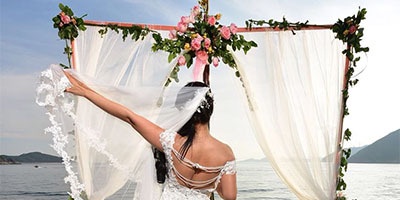 Weddings on board the Michelangelo are truly magical and unforgettable. 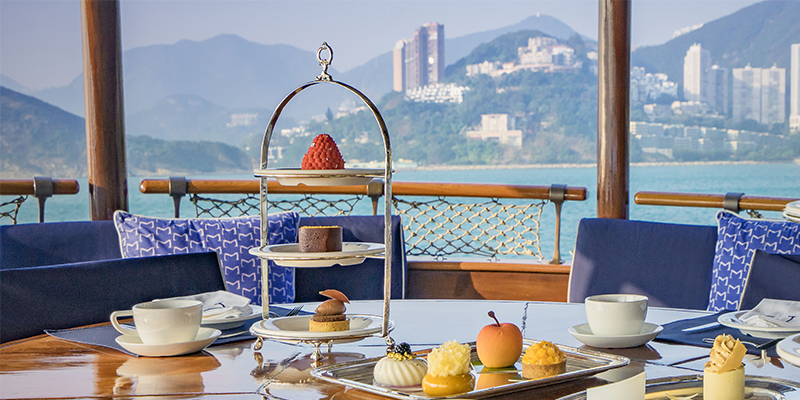 Cruising along a cascading pink sky with the Hong Kong skyline as your backdrop or overlooking the picturesque beaches of the outer islands, we guarantee you treasured memories. See our albums for inspiration. 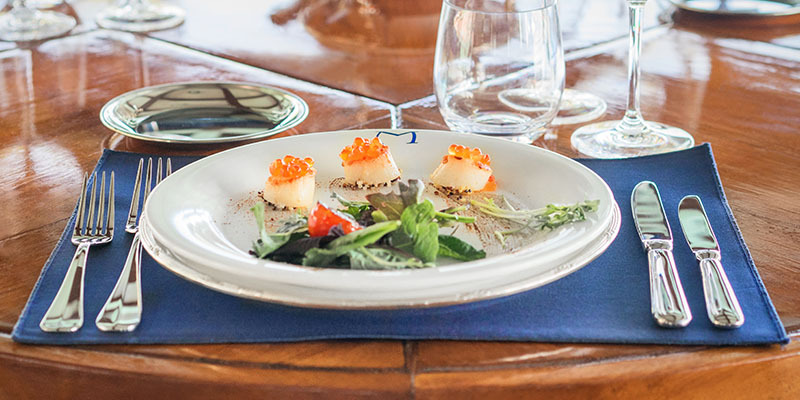 For a more extraordinary dining experience join us for 5-star gourmet dining on board the Michelangelo. The main dining room can accommodate 10 to 12 guests for seated fine dining. We can propose private chefs to create fabulous multi-course menus with wines and spirit. Ideal for any celebratory occasion. 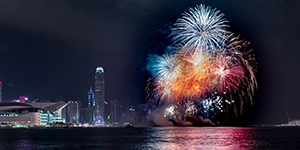 Watch the spectacular fireworks on Chinese New Year or New Year’s Day. Or celebrate a birthday event. No milestone will go uncherished on board the Michelangelo. For overnight celebrations Michelangelo can accommodate nine guests in 5-star comfort with its luxurious master suite, two double cabins, one single cabin and bunk room. Separate staff quarters for optimal privacy and convenience. Why not take your loved on a romantic evening getaway with an overnight cruise gazing at the city skylines and relaxing amongst Hong Kong’s most scenic beaches. 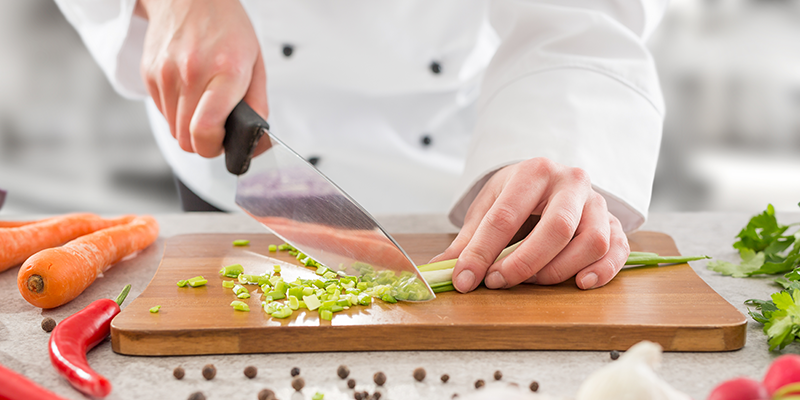 Complete your event of choice with a 5-star gourmet catering menu designed by a talented chef. We take great care in designing and combining the most delicious flavor pallets most suitable to your liking. 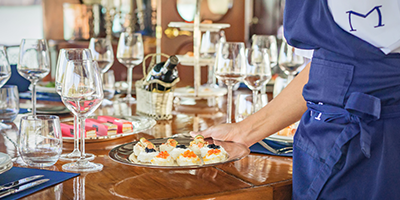 For a more personalized event fine-dining menus can be fully customized with a private onboard chef. For all catering and dining experiences we have a full catering team skillfully designing canapes, a la carte, buffet or sit-down dining options to suit your needs and accompany it with any choice of refreshments to compliment the menu. For overnight stays, we take utmost care to provide the freshest and most delectable choices for breakfast, lunch, snacks and dinner. For more information on our dining options please contact us.